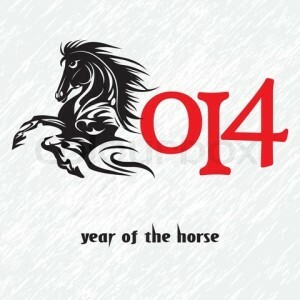 Lunar New Year plays a very important role in Asian culture. It marks the great start for the year and creates pleasant momentum throughout the year. Here are various celebrations around the area of Fairfax that I got from a friend. Celebrate the Chinese and Vietnamese New Year with a Lion Dance, music, and crafts at this free, all-ages community event from 10:30 am to 11:15 am. The Vietnamese Literary and Artistic Club of Metropolitan DC hosts the most festive Vietnamese holiday at the NOVA TET Festival 2014. The festival will begin with the Spring Welcoming Lion Dance to bring great luck to start the Year of the Horse! There will be fames for all ages, raffles, artwork, traditional and modern dances, singing, comedy, and of course plenty of food. The event is at the NOVA Annandale Campus, 8333 Little River Turnpike, from 11 am to 5 pm; admission is just $3 per person. Afternoon celebration (remember, it’s early-release day for elementary schools!) at Centreville Regional Library with food and crafts about the Chinese New Year. The event runs 3-4 pm. Join the festivities of the Chinese New Year with traditions, games, stories, and a craft at Hidden Oaks Nature Center. Decorate a paper lantern and find out which animal represents your birth year; $8 per person. Each year, Eden Center, Northern Virginia/s premier Asian center with approximately 120 stores, hosts the Tet Celebration (Vietnamese Lunar New Year) with family-friendly festivities. This year’s event includes a flag raising at 11:30 am on Fri., Jan. 31, and continues with community celebrations beginning at beginning at 11 am on Saturday and Sunday, Feb. 1 and 2; typical features include kids’ activities and a lion dance. Eden Center is in the Seven Corners area at 6751 Wilson Blvd. in Falls Church. The Chinese American Association in the Washington DC area has organized “Chinese New Year Gala” performances for more than 15 years. This year, more than 300 artists from throughout North America will perform and work together to share Chinese culture and art. The program, at 7:30 pm, includes traditional and modern Chinese dances, singing, and more. The gala is at the Center for the Arts Concert Hall on the George Mason University Fairfax Campus. Tickets start at $20. The Chinese New Year Festival at Luther Jackson Middle School in Falls Church is a huge annual all-day event hosted by ACSC. This indoor festival includes a dragon dance, lion dance, folk songs, Vietnamese Hat dance, Kung Fu demonstration, children’s fan dance and lantern dance, a meditation demonstration, and Thai, Indian, Tibetan, Korean dances, and more. There’s even a Lunar New Year parade at 2 pm! Admission is free! Luther Jackson M.S. is at 3020 Gallows Road in Falls Church. For details, see the website or call ACSC at 703-868-1509. Snow date is Saturday, Feb. 8. One of the largest events of its kind in the country, Fair Oaks Mall’s 10th annual Lunar New Year Festival is expected to once again attract close to 200,000 people to the award-winning retail center over the course of the two-day celebrations. Come see more than 300 performers participate at Fair Oaks Mall’s 10th Annual Lunar New Year, representing such countries as China, Korea, India, Thailand, Vietnam, Mongolia, Malaysia, Indonesia, Philippines, Tahiti and the 50h state of Hawaii. The Lunar New Year celebration features traditional Chinese dragon dances, music and dance performances, daring martial arts demonstrations, children’s crafts, multi-cultural displays and a special lantern festival. The festival is produced with the Washington Hai Hua Community Center. Each year, Eden Center, Northern Virginia/s premier Asian center with approximately 120 stores, hosts the Tet Celebration (Vietnamese Lunar New Year) with family-friendly festivities. This year’s event includes a flag raising at 11:30 am on Fri., Jan. 31, and continues with community celebrations beginning at 11 am on Saturday and Sunday, Feb. 1 and 2; typical features include kids’ activities and a lion dance. Eden Center is in the Seven Corners area at 6751 Wilson Blvd. in Falls Church. February 2, 2014, 2-4:30 p.m. Chinatown – on H Street, NW, between 6th and 8th Streets. Each year a parade is held in Chinatown to celebrate the Chinese New Year. The event features the traditional Chinese Dragon Dance, Kung Fu demonstrations and live musical entertainment. Celebrate from 12-5 p.m. at the Chinatown Lunar New Year Festival, Chinatown Community Cultural Center, 616 H Street, NW Washington, DC. Programs and activities will include: live music and dance performances, traditional Chinese calligraphy, children’s crafts, face painting, tai chi and kung fu demonstrations, lion dancing, poetry readings, film screenings, art and photo exhibits, raffle prizes, New Year souvenirs, free giveaways, and much more. Special guest performances by: Wong People and students of Yu Ying Public Charter School. Celebrate Chinese New Year with Chinese Brush Painting. After a beginner lesson, paint at least one lucky animal of the Chinese zodiac. Meet a live “lucky” animal and enjoy a story about this tradition. All materials provided; $8 per person.